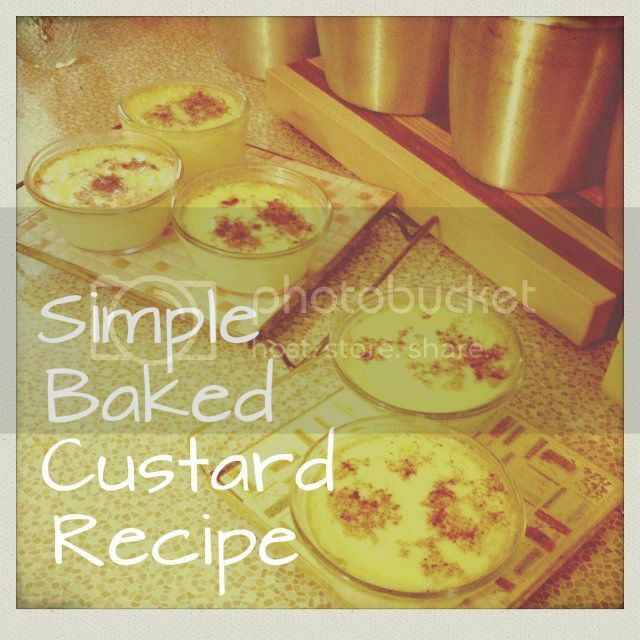 Betties N Brimstone: Baked Custard in 4 Quick Steps! 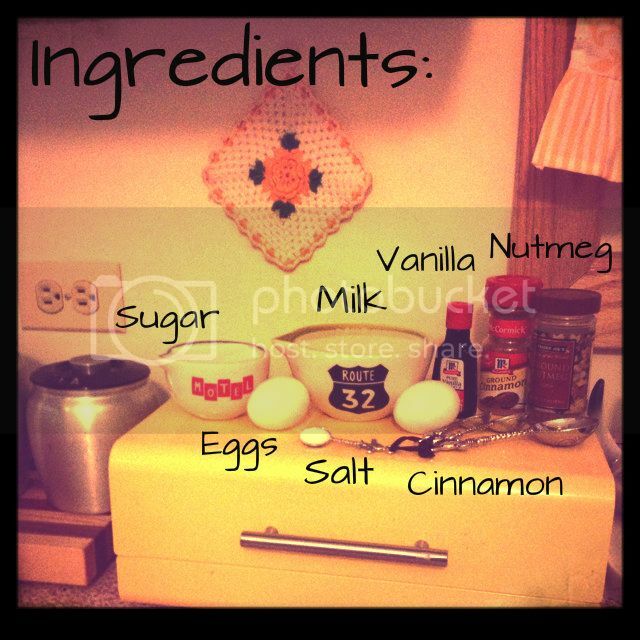 Have people coming over, but not a lot of time to whip up a sweet treat? Have I got the answer for you! Try a baked custard! More than likely, you already have everything you need for this recipe in your kitchen. 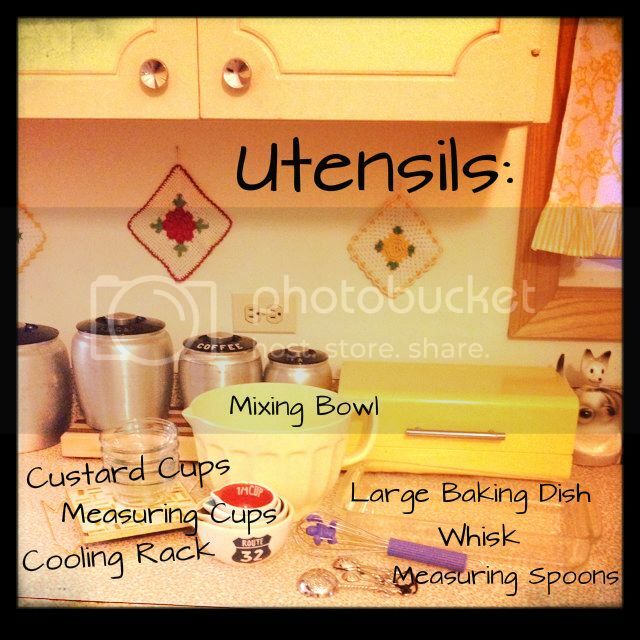 This recipe ended up making more custard than my 4 custard cups could hold, so I used a small pyrex cup (as you will see later on). 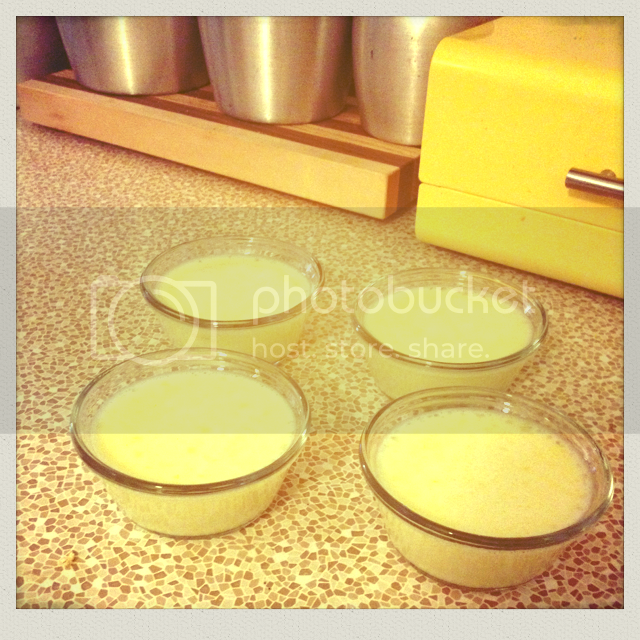 Pour mixture into four (or eventually 5 in my case) un-greased custard cups. 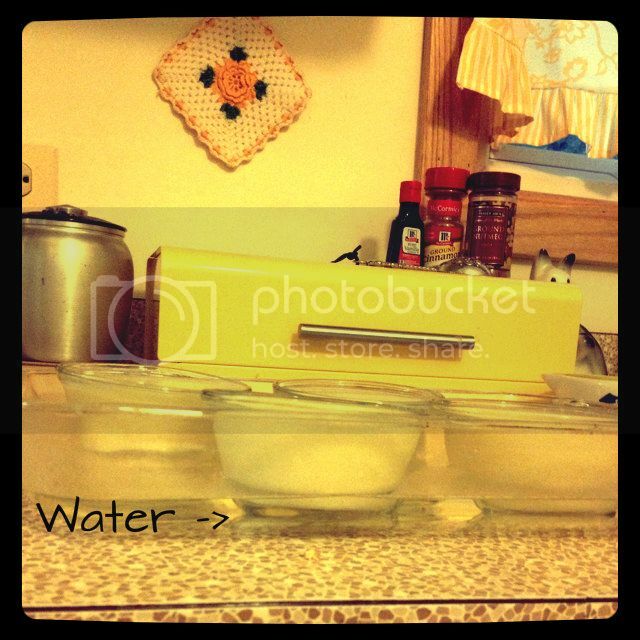 You can use glass Pyrex ones like me OR you can use those cute & colorful stoneware ones. 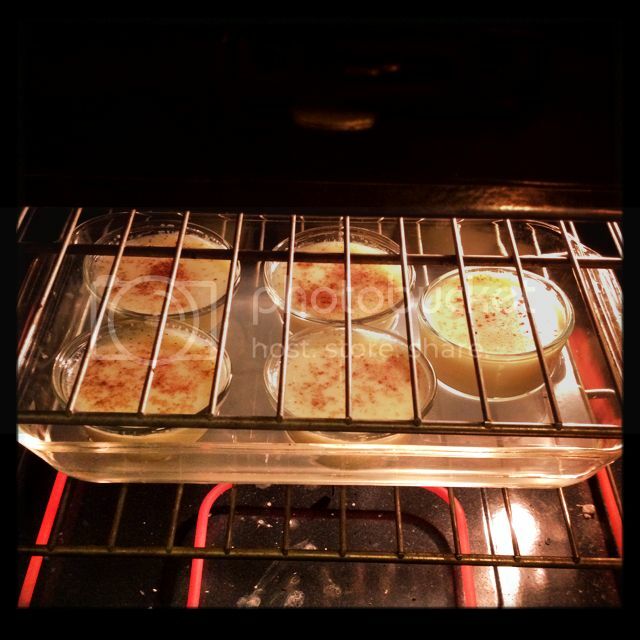 Place your custard cups in a glass baking pan. 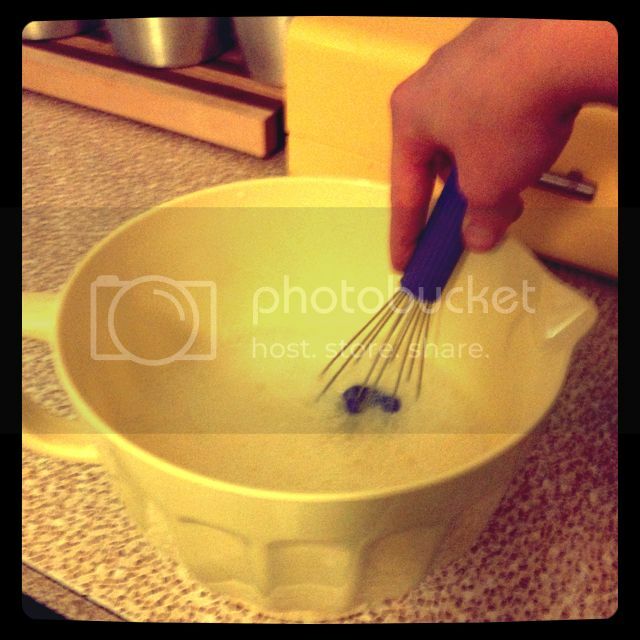 Then, pour hot water in to the pan AROUND your custard cups (only fill the pan to about 3/4 in). Bake (uncovered) for 50-55 minutes or until a knife inserted near the center comes out clean. When they're done, (yes...they will be a little sloshy...I learned this the hard way) remove the custard cups from the water onto your cooling rack (**Important note** If you keep them in the water they will continue to bake and will curdle). Serve warm or chilled and be sure to keep leftovers in the fridge!